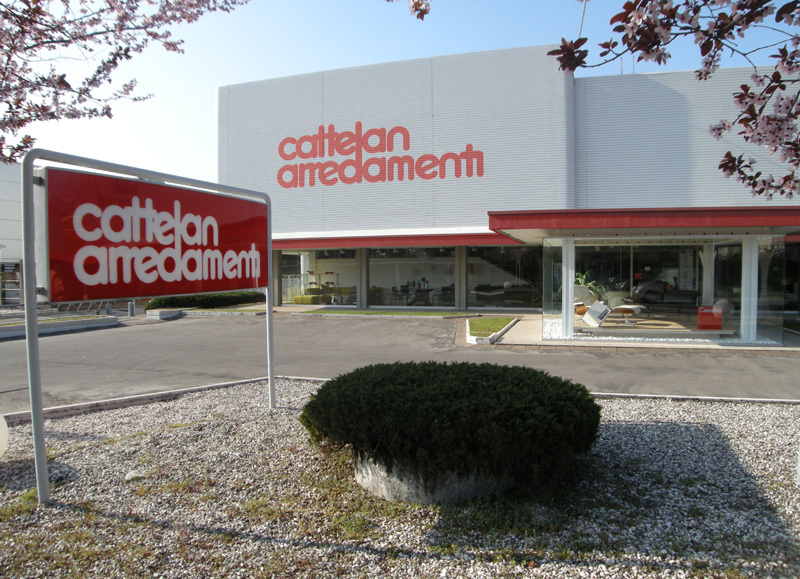 Cattelan Arredamenti was founded in 1960 in Zanè (Vicenza), Italy. today is one of the landmarks in northern Italy for the proposal of design furniture. The showroom has 1200 square meters of exhibition space. The brands we mainly sell are: Cattelan Italia, Poltrona Frau, Molteni & C, Cassina, Simon Collezione, Vitra, Zanotta, Alivar, Desalto, Fiam Italia, Glas Italia, Capo d’opera, Ceccotti Collezioni, Arketipo, Gufram, Varier, Roda, Dedon, Louis Poulsen, Nemo Cassina, De Majo Illuminazione, Boffi, Elmar Cucine. Professionalism, courtesy and competence are qualities that distinguish us in the sector of sales and assistance in the field of furniture. The know-how gained from the long experience allows us to advise always the product that best suits your needs. Our company has always been attentive to the latest news. All this, thanks to the collaboration with the best design brands, which have made of image and quality their warhorses, offering high-level functional solutions for any home. Since 1994, Cattelan Arredamenti is also a landmark for sale online in Italy and abroad. Through the consulting service guaranteed to our customers, and thanks to high-end products, you can buy online, without problems of shipping and delivery, because we follow and manage each order personally. We want to demonstrate that buying furniture online is possible, comfortable and safe on the Internet.